Hi Friends! 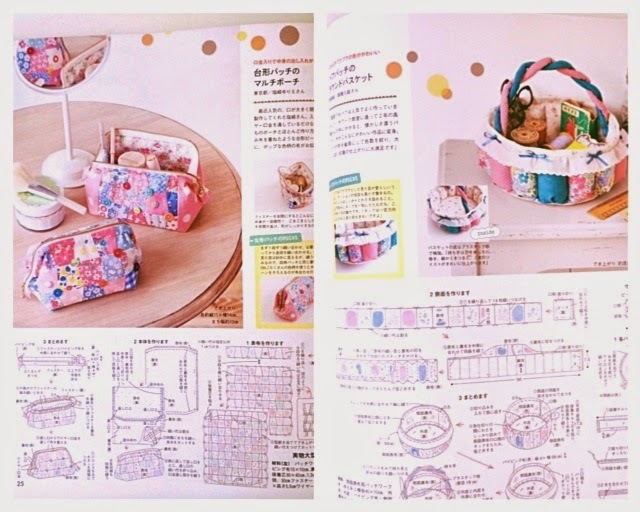 I have plenty of updating to do like post about the trip I took to Japan a couple months back, but all I have for you today is a custom order I made for a pretty neat friend and a cute magazine review. 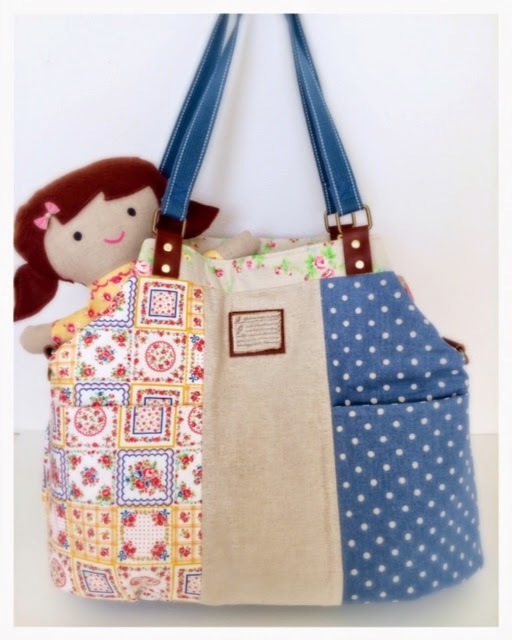 Cute custom diaper bag and doll. Front of bag. Made large front pockets. Back of bag. Also has two large pockets. Inside of bag. I used waterproof fabric and created multiple pockets for bottles, nappies, and more! If you know me or read my bio, you would know that I'm bananas for magazines, specifically Japanese ones. 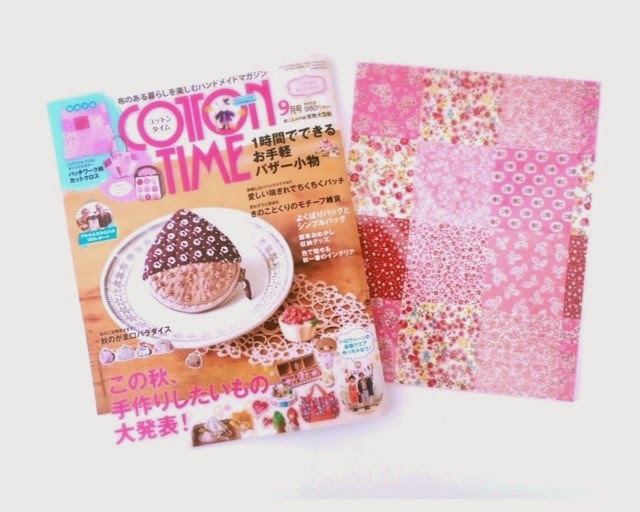 My favorite zine is "Cotton Time". 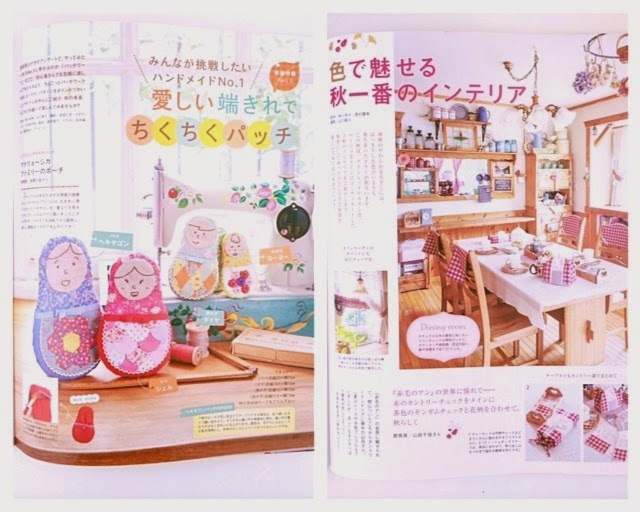 It's a Japanese craft zine that comes out every 2 months. I'm lucky enough to live near a Japanese bookstore or I sometimes splurge and order direct from Japan. Maybe I'll give you a tour sometime of "The Lab" a.k.a. my craft room, and show you the insane collection of Japanese magazines I have. Cotton Time - Issue 9 and yes it came with free fabric!!! Cute projects and a handmade dining room! I am working on new bags and accessories, and hopefully will have them ready before the Fall/Winter handmade show circuit.